It was perfect timing. 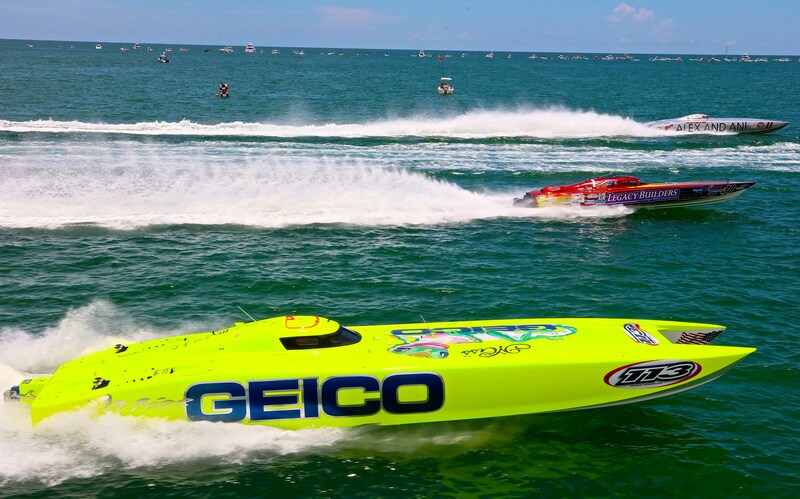 Just as breaking news was reverberating across the high performance waters, the invitation to attend the final round of the P1 AquaX Championship on Fort Lauderdale Beach last November provided me with an ideal interview opportunity. Continuing a proven track record, the P1 SuperStock USA Championship features a five race schedule that returns May 11th to Kissimmee/St. Cloud showcasing a dramatically re-dressed P1 Panther race boat. Craig Wilson (owner of Wilson Custom Composites) is working closely with Martin Sanborn, one of the lead developers of the P1 Panther vee hull nearly eight years ago. Wilson is taking the boat to the next level utilizing resources of the Performance Boat Center in South Florida. “The move to the canopy configuration will have a number of important results including enhanced safety for the crews, improved race performance and the change from a mechanical control system to a digital throttle and shift system which will increase responsiveness and simplify the rigging process for the boats,” Wilson explained.